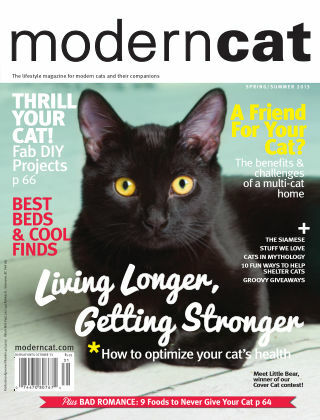 With Readly you can read Modern Cat and thousands of other magazines on your tablet and smartphone. Get access to all with just one subscription. New releases and back issues – all included. 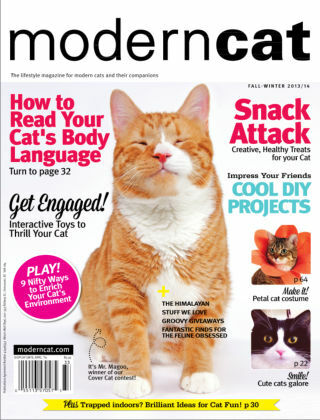 Welcome to the lifestyle magazine for modern cats and their companions. We are proud to bring you the best ideas and solutions for a life filled with cats. Get ready to be inspired. 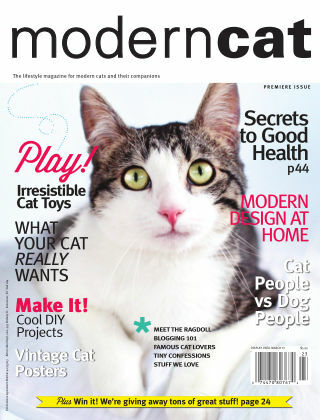 We round up the very latest and greatest of what’s new in the cat world, from cool finds to must-haves; health and wellness; tips and recipes; DIY projects; inspired and inspiring design; breed profiles; behavioural advice; exclusive interviews with cat loving stars, designers, and rescuers; giveaways; contests; and much, much more! A large part of Modern Cat’s mission is to support the efforts of organizations that work tirelessly to assist abused, neglected or homeless/feral cats. Our donation/affiliate programs, charitable events, and cash gifts allow us to give back to the cat community. Join us on Facebook, Twitter, and Pinterest for musings, inspiring stories, a behind-the-scenes peek at what we’re up to in the MC office, and, of course, Friday Freebies!